Robust Markets and the Drive to Innovate—Challenged by High Social Need. Huge inequities in access to healthcare between urban and rural areas and between rich and poor (India’s population is 34% urban and 66% rural, while its distribution of doctors is exactly the reverse). Each of these problems can be solved or substantially improved through digital health technologies. Digital technologies promise to make healthcare more integrated and cost-efficient, keep doctors better informed of medical literature, and empower patients to be much better connected to their care. From distance learning and electronic medical records to telemedicine and patient messaging, digital health also provides much better capacity to reach rural, remote and underserved populations. But can this new breed of company successfully combine social purpose with profit, to sustain growth, development and investor expectations? Disruption in Healthcare Spurred by the Demands of Universal Health Coverage (UHC). The Government of India’s recent launch of ‘Ayushman Bharat’—the National Health Protection Scheme – is seen as a major initiative to accelerate Universal Health Coverage (UHC). Ayushman Bharat provides health insurance to 10 crore (100 million) families in India. Yet it is clear that Universal Health Coverage cannot be achieved without digital health innovation. Along with Ayushman Bharat, the government has allocated some 3000 crore INR (US$ 440 million) to accelerate the country’s digital transformation through artificial intelligence (AI), the [medical] Internet of things (IoT/IoMT), blockchain and 3D printing, all of which are essential to enabling a modern technology landscape in healthcare delivery. As national and state governments strive for UHC and a more equitable public health system, private sector players are critical to drive innovation, improve efficiency, increase transparency and ultimately decrease out-of-pocket healthcare expense for Indians, which at 60% is among the world’s highest. Digital health is a huge market in India with a profusion of commercial firms of all sizes and shapes competing in the marketplace. Many newer companies have successfully raised capital from investment majors in India and internationally. The telemedicine market alone is growing at over 20 percent CAGR and may surpass US$32 million by 2020. What’s especially exciting is the growth in social impact businesses--also called social enterprises. These companies make it a core part of their business model to generate positive social impact by focusing on unmet societal needs. This translates into finding new ways to extend quality care to patients who are poor, far from urban centers or otherwise disadvantaged. As per a report by Silicon India, with a population between 15 and 20 million, with more than 50% living in impoverished settlements, Mumbai has one of the largest concentrations of low income households needing access to affordable, high-quality healthcare. Consider Neurosynaptic Communications. Founded in 2002 by Sameer Sawarkar and Rajeev Kumar, Neurosynaptic’s corporate mission is to enable access to quality and affordable healthcare to the masses in rural and remote areas through technology. The company sells subscriptions to a cloud-based, point of care diagnostic equipment and telemedicine solution called ReMeDi (Remote Medical Diagnostics), which enables teleconsultation, capture and transmission of a number of physiological parameters, and electronic documentation. Deployed in 2,200+ centers, ReMeDi brings healthcare access within reach to more than 50 million people. Wherever they live, Maharashtra residents can be connected by ReMeDi to the best care available, even at such leading facilities as Mumbai’s Nanavati Super Specialty Hospital. 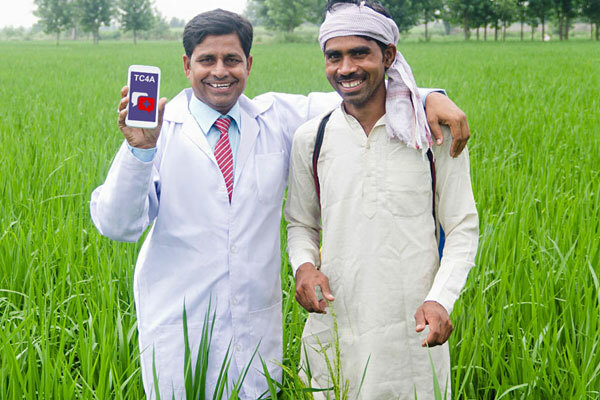 Tech Care for All (TC4A) where I serve as India CEO, is a social impact company fully dedicated to harnessing digital technology to improve health among under-served populations in India and sub-Saharan Africa. Tech Care for All’s digital portfolio addresses the full journey from wellness and prevention to diagnosis, treatment, support and follow-up. From its base in Mumbai, Tech Care for All is commercializing a range of practical products that increase people’s access to affordable, high-quality care, from connected diagnostics to peer-to-peer consultation platforms to help doctors make better decisions in complex cases. The company is uniquely structured around unique combined experience in healthcare, technology, and strategy consulting from both private and NGO sectors. Growth of Impact Investing to Fund Digital Businesses with Social Purpose. Impact investing—for dual social and financial returns—is gathering momentum in India, with digital health among the areas drawing attention. Between 2010 and 2016, India attracted over 50 active impact investors, who committed more than $5.2 billion. One such firm investing in digital health for social impact is Kois Invest. Headquartered in Mumbai and Brussels, Kois’s mission is: “to leverage our business skills, investment expertise and global networks to scale sustainable solutions… that have the potential to generate lasting positive societal impact and deliver attractive financial returns.” Aside of its asset management activities, the firm also structures innovative social finance instruments such as impact bonds.